311 Sherwood Drive, Branson, MO.| MLS# 60124916 | Branson Missouri Residential and Commercial Real Estate For Sale – HCW Realty Properties For Sale in Branson MO. Search All MLS Listings. THIS BEAUTIFUL HOME IS LOCATED IN THE HIGHLY DESIRED, GATED COMMUNITY OF POINTE ROYALE. 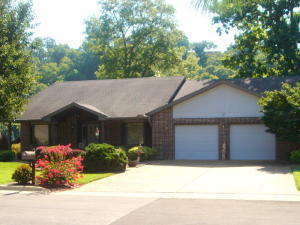 SITS RIGHT ON LAKE TANEYCOMO. BEACHED AREA FOR EASY ACCESS IN AND OUT OF WATER. GO FISHING IN YOUR OWN BACK YARD OR JUST ENJOY THE AMAZING VIEW FROM YOUR LARGE DECK OR YEAR ROUND SUN ROOM. THE MASTER BEDROOM HAS ITS OWN PRIVATE DECK, TWO WALK IN CLOSETS, AND A JETTED TUB FOR EXTRA RELAXATION. THIS SPACIOUS HOME IS PERFECT FOR LARGE FAMILIES AND ENTERTAINING.FULL BASEMENT WITH LARGE FAMILY ROOM, GAME ROOM, AND WET BAR. ALSO HAS A LOWER LEVEL GARAGE FOR GOLF CART, CANOES, OR A WORKSHOP. JUST A SHORT WALK TO THE CLUB HOUSE, GOLF, TENNIS, POOL, BAR AND GRILL. THIS IS A MUST SEE.